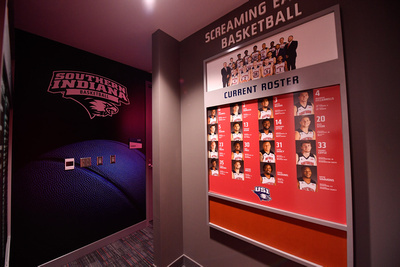 The University of Southern Indiana’s Screaming Eagles Arena was completed in spring 2019. 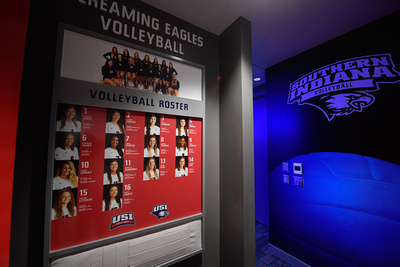 It is unlike any other facility in the Tri-state region and serves as home to all USI's nationally-recognized Screaming Eagles athletic programs, including Men's and Women's Basketball and Volleyball, which will be played in the facility. 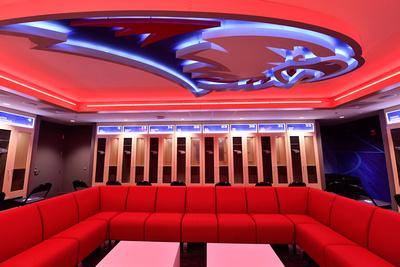 The addition of the Screagle Zone™ for USI merchandise and three concessions stands will create a positive game/event-day experience for fans and guests. 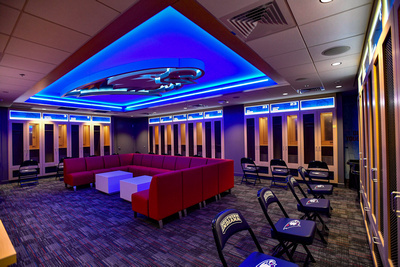 A courtside Varsity Club Room and four box suites add new opportunities for VIP viewing of games and events. 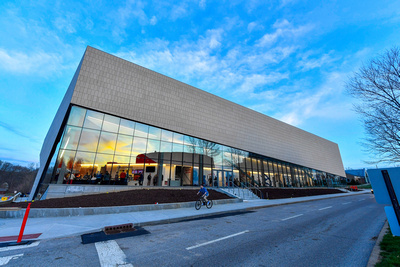 Additionally, the Arena will be used each year for University commencement ceremonies, to host nationally-known speaker engagements, to provide more space for student activities, and would serve as a community emergency shelter, if needed. 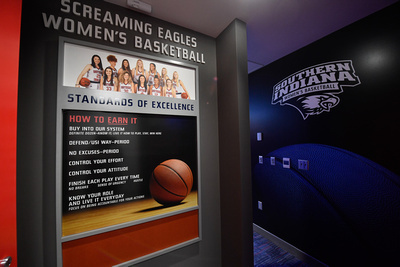 The Arena also offers outstanding locker rooms, athletic training and conditioning spaces and will be a major factor in recruiting new athletic talent to the University. 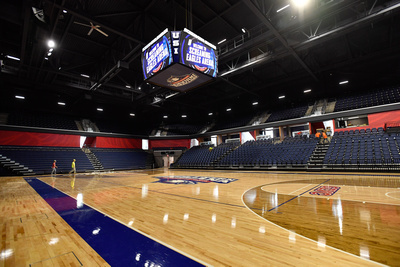 With the completion of this facility, basketball and volleyball games can now be held in the Arena while classes, intramurals and practices go on as scheduled in the Physical Activities Center (PAC). Increased seating is now available for commencements and the facility makes it possible for USI to host larger events on campus.